Whether or not you know it, our eyes naturally produce tears from our lacrimal glands, which are what cause our eyes to stay naturally moist. Of course, these drops of tears are the same ones that come out when we cry. Although it is completely healthy and normal to produce tears in our eyes, there are many different problems that can develop, causing us to have unnecessary eye discharge and/or crusty eyes. On this page, we will break down everything that you need to know about this topic so that anybody suffering from this problem can start fixing it today. 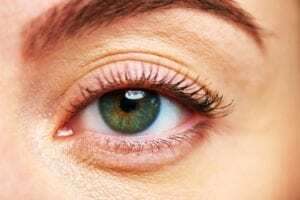 Eye Discharge: What Is it and Why Does it Happen? If you have eye discharge causing crusty eyes, it doesn’t necessarily mean that you need to panic. In reality, there are so many different potential causes of eye discharge that you should take a minute to inform yourself before immediately assuming the worst. In some cases, people who suffer from these symptoms will be able to treat themselves at home. However, it’s important to understand that you could also have a much more serious condition that is causing your eye discharge and subsequent crusty eyes. For starters, it’s important to understand that eye discharge is actually a very common and normal thing for us to experience. Since tears are already produced constantly in our eyes, this process will still continue while we are sleeping. 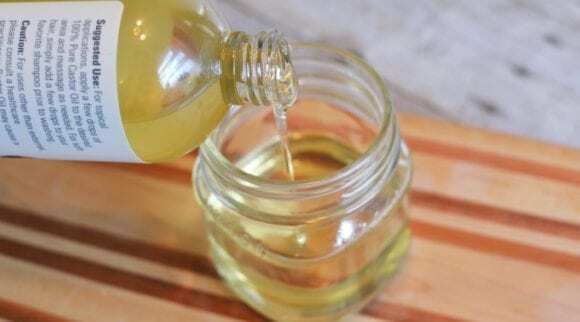 This means that all the liquid and other gunk and grime which may be in the area will naturally collect into the corner of your eye, regardless of whether or not there is another condition which is making things worse. This is one of the reasons we often wake up with “sleepies” in the corners of our eyes or crusty eyelashes. 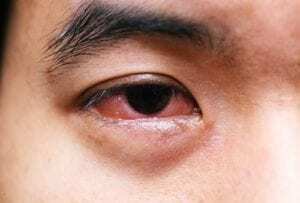 Eye Discharge: What Are All the Potential Causes? Before we discuss some tips and strategies for fighting eye discharge, let’s start by breaking down some of the most common causes of crusty eyes and eye discharge. This will help you to pinpoint what may be causing your eye discharge. Once you determine the cause of your eye discharge, you will then be ready to start effectively treating and handling the problem. Accordingly, let’s go ahead and break down some of the most common causes of eye discharge and crusty eyes. 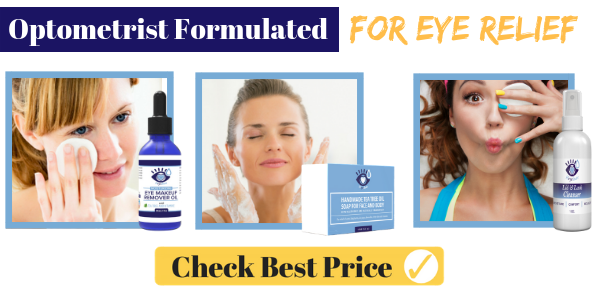 As we briefly mentioned, the most common reasons that you may be suffering from eye discharge and crusty eyes as you wake up each morning are completely natural. Since you aren’t actively using your eyes, it is very possible that the tears that you produce simply dry out in the corner of your eyes while you are sleeping, causing a slightly crusty buildup. Natural cases of crusty eyes simply need a tissue to rub them out, and then you are set to continue your normal routine without worrying about further symptoms. When you have an infection, there will typically be a lot more eye discharge than what is typically normal. However, it’s important to understand that the term “infection” is really general and can be used to describe a vast array of specific problems. However, if you suspect that an eye infection may be causing your eye discharge, there should also be a difference in the color and amount of gunk that you notice across your eye. If you are pretty sure that you have an eye infection, one of the most common sources of this dilemma is Dacryocystitis. To describe this condition simply, it is an infection of the lacrimal sac normally caused by a blockage in the nasolacrimal sac next to your nose. Typically, excess tears are stored here in this sac so that they don’t generate excess eye discharge. 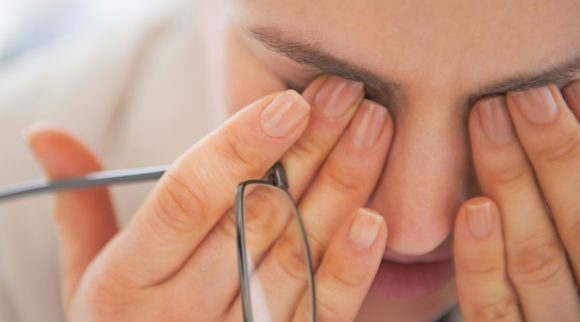 However, if the lacrimal sac becomes infected, then the area for storing excess tears can become compromised, leading to subsequent eye discharge and crusty eyes. Having allergies is a pretty common occurrence, especially during certain parts of the year. It is also pretty common for things like pollen, dust, mold spores, and other similar particles to become trapped in your eyes, causing your eyes to become itchy and watery. If you have allergic conjunctivitis, it is possible that you experience symptoms like this. You might also experience puffy eyes as you wake up in the mornings. Viral conjunctivitis is an eye condition which is highly contagious and is usually caused by an adenovirus. Since this is contagious and virus born, seeing a doctor is highly recommended but there is often no treatment. In advanced cases, you may require treatment with topical corticosteroids in order to start seeing your condition improve, but this is rare. Severe cases are also a lot more distinct in that your eyes will also experience redness symptoms along with discharge, itchiness, and so on. Blepharitis is a rather common condition that causes eye discharge. It can be caused by an array of different sources, including an excess of mites living in your eyelids. However, blepharitis typically results in very uncomfortable symptoms in the eyes such as dryness, itchiness, and of course, extra discharge. When your skin becomes dry, a common response that your eyes will have is to have higher levels of mucus and other fluids to counteract things on their own. There are various reasons why you may have dry eyes. Although dry eyes can be the result of decreased tear production, it is also possible that something like makeup is mixing in with your tears. Regardless, a minuscule problem that causes your eyes to become dry can result in your eyes producing more tears than normal. In other words, even a temporary problem that can cause your eyes to be dry for a short period of time can result in some excess eye discharge. 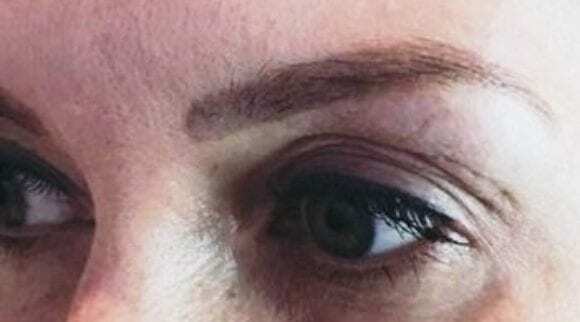 When left to dry, you might also notice having crusty eyes in the inner corners. In addition, the use of eye drops (especially at night) will cause you to wake up with crusty eyelashes due to the dried solution. 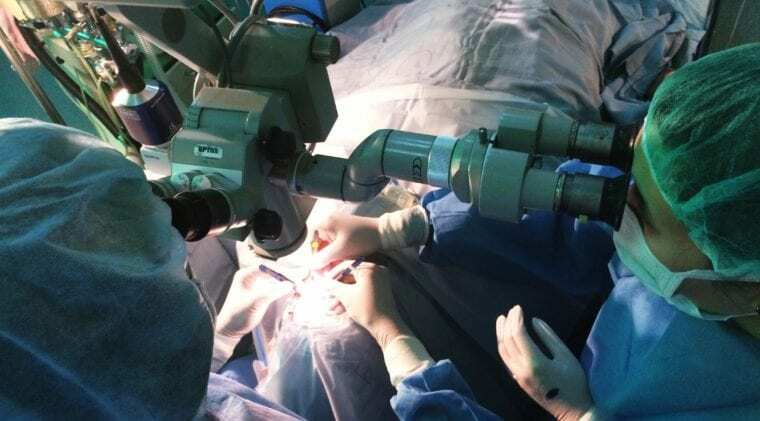 Being able to see normally is clearly something which we should be willing to make sacrifices for, whether that be getting surgery, wearing glasses, or contacts. If you choose to wear contacts, keep in mind that this may come at a toll. Specifically, it’s important to understand that contact lenses can also make you prone to problems like infections and increased discharge. Typically, you will notice symptoms like pain, swelling, redness, mucus discharge, itching, and so on. If you believe your eye discharge may be caused by contact lenses, visit your optometrist as soon as possible. Whether it be puncture to the eye, a scratch, or anything similar, injuring your eyes is never a fun experience. Outside of the potential for permanent damage and even loss of vision, injuring your eyes should always be treated with the utmost caution and concern. In just about any sort of bodily injury, including the eyes, a common response is a discharge of fluid. Whether it be natural fluids in your eye, blood, clear or yellowish liquid, any sort of eye discharge after an injury to your eye should be immediately be treated by a professional. Pink eye is a pretty common cause of eye discharge. Also known as conjunctivitis, pink eye can be caused either by a virus or bacteria. However, many doctors will only use the term “pink eye” when it is caused by a virus. Regardless, the main symptoms that you will notice include burning, redness, and discharge. 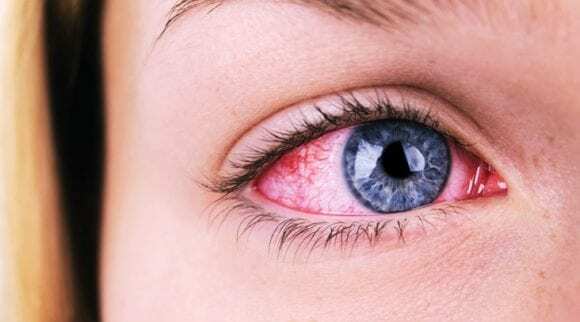 Many people will immediately recognize this problem since it is relatively common for somebody to experience pink eye at least once in their lifetime. However, these can also be symptoms of many different other types of problems. Accordingly, pink eye is another cause of eye discharge which is best treated by an eye doctor. There are many locations where you would likely prefer to have acne than around your eye. Outside of the immediate dangers of spreading the pus into your eye, a stye can result in your eye becoming swollen and inflamed. Of course, this can also result in having more fluid discharge than normal. If the fluid is left on your eyes, this can also lead to crusty eyes. In any case, use natural remedies like warm compresses and avoid using cosmetics to allow the stye to heal. Never attempt to pop a stye, or you could end up with a much worse infection. Having symptoms like eye discharge or crusty eyes isn’t necessarily a problem solely because of the extra discharge and dry fluid. There is also typically pain and other problems like inflammation which can come along with conditions like this. Accordingly, it’s important that you take these steps when you notice eye discharge or crusty eyes. Most importantly, consider the fact that things may go away on their own without any sort of treatment. Usually, those who need advanced treatment or a prescription will already know and will also have further symptoms. 1. Consider the multiple possibilities. As we attempted to illustrate above, there are many different reasons that you may experience eye discharge and crusty eyes. Accordingly, if you have symptoms like this, start by not immediately assuming the worst. In all likelihood, whatever is causing your specific case of eye discharge is something which can be easily treated and taken care of by a professional. However, remember that you may not be able to pinpoint the exact cause right away. 2. Try to wait things out. With many problems in life, one of the most initial things that you should do is take a second and breathe. Although it is surely possible that your eye discharge is caused by something advanced and crucial, those who don’t notice additional symptoms like redness, swelling, and inflammation may only be experiencing a temporary problem. Wait a few days or so and see if the discharge goes away on its own. However, if you continue to experience discharge after several days, then you may need to move on to the next step. 3. Get a proper diagnosis. Once you are determined to fix your eye discharge symptoms and have taken all the steps of precaution, getting a diagnosis will be the logical next step. Even if you are confident that you know the cause of your eye discharge, those who experience this problem on a recurring basis should simply get a diagnosis in order to confirm the root cause of their condition. This is the best way to start effectively tackling the problem. 4. Follow the doctor’s treatment regimen. Once you have a clear diagnosis and have determined the cause of your eye discharge, your doctor will then provide you with a treatment regimen to handle the problem as quickly as possible. Depending on your specific case, this may or may not include prescription medicine along with various tips and tricks best suited for your specific condition. In any case, be sure to follow the advice of your doctor in order to make sure that you get the problem under control as quickly as possible. 5. Keep the area clean. One of the most important things to do, regardless of the cause of your eye discharge, is to go out of your way to keep your eyes clean. 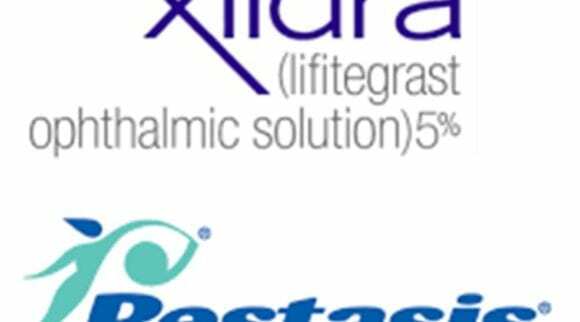 In most advanced cases of eye crusting and discharge, keeping the area clean is a great thing to do. Warm compresses and eyelid hygiene are some of the best ways to get your eyes back to their natural state quickly. If you go out of your way to keep your eyes clean, they will usually be able to recover much more quickly. 6. Consider natural remedies and relief on the side. 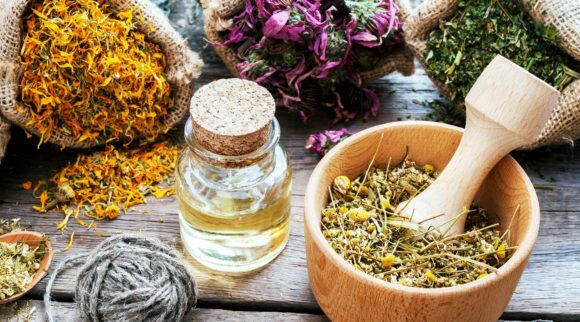 Outside of doing the most immediate things that your doctor prescribes, there are various natural remedies which can help you. 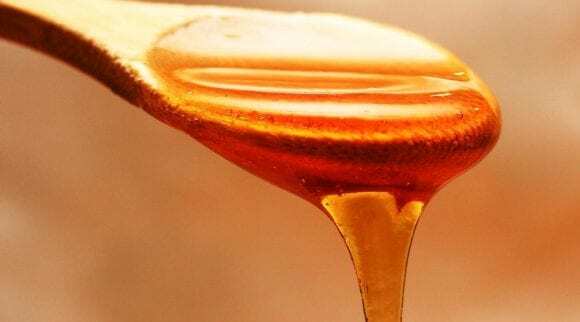 For example, you might consider taking an extra omega-3 supplement, washing your sheets and pillowcases, doing eyelid hygiene and warm compresses, drinking plenty of fluids, and so on. Anything you can do outside of the immediate treatment recommended by your doctor, like these things, can have a greater effect than you may imagine. 7. Closely monitor your eyes after treatment. In most cases of eye discharge and crusting, the treatment process will be very simple, quick, and straightforward. However, one of the most common things for people to do with various conditions is to think that the problem is gone before it actually is. Accordingly, be sure to spend plenty of time the month after your symptoms subside ensuring the problem is indeed going away. After all, the worst thing that you can do is to assume that everything is taken care of, only to later realize that it was only temporarily gone. If you monitor your eyes after treatment, and continue with some of the following tips, you can avoid the symptoms coming back in full force. If you have a problem with eye discharge, then there are certain precautions that you are going to have to take. If you have taken care of the problem once and for all, there are also various things that you can do to make sure that the problem never returns. The following list of tips are things to keep in mind to prevent symptoms like this from ever happening again. Each of the following things should also be kept in mind if you are currently treating yourself for these symptoms. 1. Do not touch your eyes. As a general rule of thumb, you should never touch your eyes or the skin around them. Hands are already typically very dirty since we touch so many random things on a daily basis without ever realizing how dirty our surroundings can be. Accordingly, one of the best ways to keep your eyes from becoming infected in the future is to leave them alone. Do your absolute best to avoid any sort of contact with your eyes so that you don’t have to ever deal with eye discharge and crustiness again. 2. Keep your hands and eyes clean. Outside of not touching the areas around your eyes, cleaning your hands will also be critical in ensuring that your eyes don’t unintentionally receive a bacteria or virus from your hands. Of course, it is common for people to use their hands to brush their hair, apply cosmetic products, and so on. These instances are also common occurrences that can unintentionally infect your eye. Simply wash your hands routinely, especially right before you come anywhere close to your eyes. That being said, you should also begin an eyelid hygiene regimen with a hypochlorous acid cleanser. 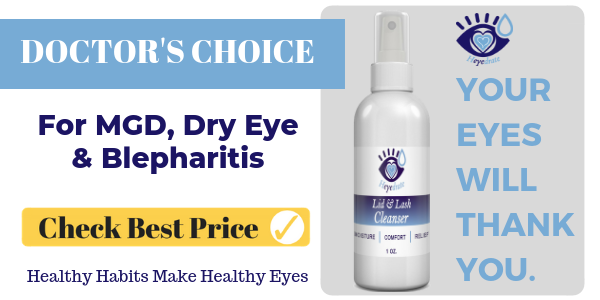 Heyedrate Lid and Lash Cleanser is a great product to start with because all you have to do is spray the solution onto your closed eyelids, rub it in, and let it dry. 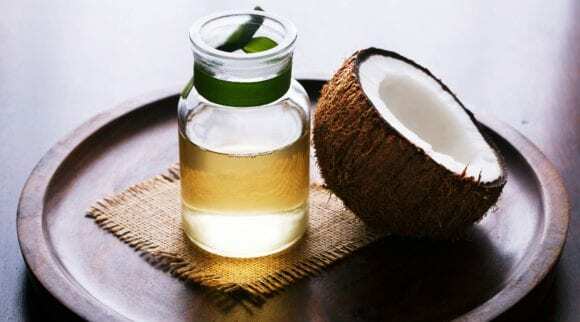 You’ll use it twice a day, and it will help decrease bacteria, debris, and crustiness from around your eyes. 3. 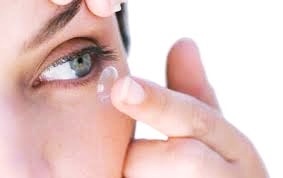 Stop using contact lenses (if applicable). As we mentioned, one of the common causes of discharge from your eyes is the use of contact lenses. Accordingly, anybody who uses contact lenses should immediately cease using them so that they can ensure their eyes won’t develop problems like this in the future. Switch to eyeglasses if you need to. If you have been considering a different means of correcting your vision and are pretty certain that contact lenses are no longer helping you, then this may be the best time to make the leap. 4. Refrain from using cosmetics. Hopefully, this is something that you are already doing. Although cosmetics are normally pretty safe, they can also lead to symptoms of discharge and crustiness. After all, they are unnatural additions to your eyes and can aggravate them, especially if you already have a problem like blepharitis. If you still want to use cosmetic products, then you should consult with a professional about the best products for you to use without potentially causing your eyes to start discharging fluid. 5. Consider using artificial tears. Although long-term use of certain types of eye drops can actually lead to unnecessary discharge, there are also instances where artificial tears may be necessary to fix your problem. If you think that your discharge is caused by something like allergies, allergy eye drops may prove to be a quick fix whenever you notice that your eyes start to act abnormally. However, picking the right product to suit your specific condition is something that you should discuss with your doctor. There are many different reasons that your eyes started discharging in the first place. If you already know what caused your specific case of discharge and eye crustiness, then spend your daily routine searching for anything that may have contributed to the condition in the first place. Common causes are allergens in the air, bedding which needs to be washed, or even the people who are around you. In any case, spend some time trying to find things which may contribute to your problem, and eliminate as many of them as you can. 7. Get the advice of a professional. As the saying goes, the doctor knows best. If you haven’t already visited an eye doctor to get a specific diagnosis and course of action, it is very possible that you consider the wrong variables, misdiagnose yourself, or even end up with a problem much worse than what you experienced before. If you have any sort of suspicion that you can’t handle things on your own or things get worse, do yourself a favor and get the advice of a professional. Although you may be worried about the medical bill, it could also end up saving you lots of money that you might otherwise spend on the wrong products and treatment methods. Once you have figured out what caused the condition in the first place and have a treatment regimen that works, continue on with the same habits that resulted in the condition receding in the first place. If you discovered that keeping your hands off your face and cleaning your pillowcase worked well, then continue to do this in the future. Habits like this will also help you to avoid other potential problems like acne on your face. However, if you discovered something else to be very helpful, continue with the strategy that works. If your discharge is caused by allergies, one of the best things for you to do is to start taking allergy medicine whenever you are in a potentially risky scenario. Specifically, if it is a certain time of year that you know your allergies will act up, take some initiative and get some allergy medicine so that you help prevent further problems with your eyes. Life can already be hard enough without allergies. Since allergy medicine is very affordable and can help prevent eye problems, there is little reason not to keep it around. Warm compresses are one of the best ways to keep your eyes clean in the first place. To do a warm compress properly, start off by heating your eye mask in the microwave for 20 seconds. Test the temperature on the inside of your wrist so it’s not too hot. Lightly compress it on your eyes and leave it there for about 10-20 minutes. Whenever you start to encounter discharge and crustiness around your eyes, it is usually a good sign that you should do a warm compress. This is also something that you can do when your eyes are dry. It is also a wonderful therapeutic remedy whenever your eyes feel poor in general. Encountering excessive eye discharge and crusty eyes can be an overwhelming experience to encounter in the first place. However, without knowing about the many different causes and forms of treatment, you can quickly end up in a situation of feeling helpless and unable to get out of your situation. Since there are many different causes of eye discharge, those who are experiencing exceptionally uncomfortable symptoms should go straight to the doctor for the best advice. Although many cases of eye discharge and crust around the eyes can be handled pretty easily, there are also many variables which can contribute to the problem in the first place. Once you determine what is causing your symptoms, it is important that you follow up and stick with the strategy that works. 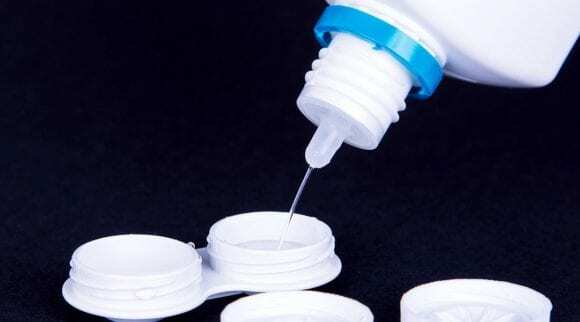 Additionally, you should consider stopping the use of products like contact lenses and cosmetics. Anybody who gets a proper diagnosis and treatment plan should be able to get their symptoms under control quickly.